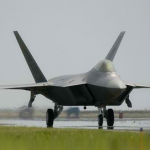 The U.S. Air Force has estimated that modernizing 34 Lockheed Martin-built F-22 aircraft from a training configuration to an operational status would cost more than $1.7 billion over an 11-year period, FlightGlobal reported Thursday. A USAF report, submitted to Congress and obtained by FlightGlobal, provides details about the service branch’s projected cost and timeline for the conversion of Block 20 Raptors that into the Block 30/35 configuration. 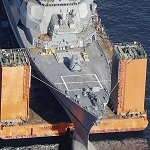 The branch also informed Congress of its plans to roll out a helmet-mounted cueing system and update sensors for the Block 30/35 fleet as well as field the TacLink 16 and tactical mobile ad hoc networks. USAF added the F-22 upgrade cost estimates might change depending on the production of various components such as the fourth-generation APG-77 radar.